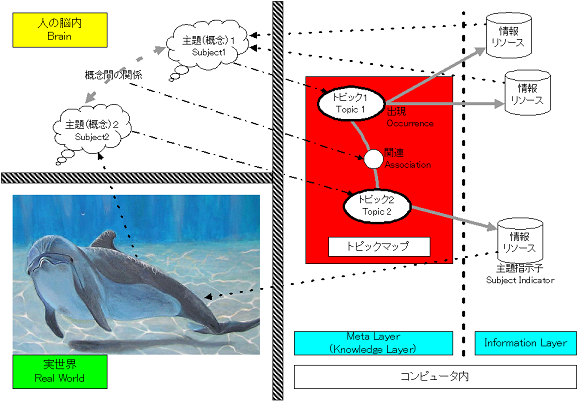 Topic Maps is a technology, in which subjects (concepts), relationships between subjects and relationships between subjects and information resources can be modeled and be processed in computers. Subject is represented by topic, relationship between subjects is represented by association and relationship between subject and information resource represented by occurrence. Topic, Assocaition and Occurrence are three main components of Topic Maps and are called "The TAO of Topic Maps". Topic is a main concept in a Topic Maps. It represents just only one subject in a problem domain. Not only information resources but also things in real world can be treated as topics. Association represents relationship of one or more topics. The relation does not have the directions. Instead topic has a role in the relation. Occurrence is a relationship between topic and information resource which relate to a subject represented by the topic. Relationship between topic, association and occurrence is shown in the following figure. For more information, please refer to The TAO of Topic Maps and Topic Map starter pack. 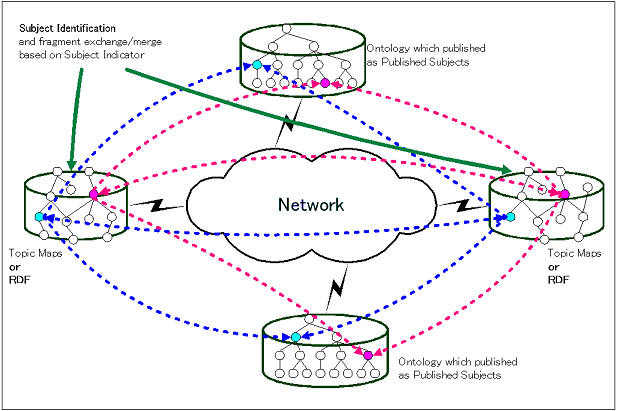 By using Topic maps, RDF, Published Subjects, Ontology, and RAP: Remote Access Protocol (exchange and integration of fragmentation), information and knowledge can be connected seamlessly.